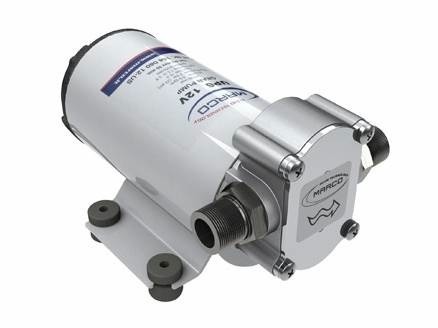 6.9 GPM�Self-priming electric pumps with helical PTFE gears and integrated check valve. Nickel-plated brass body and connections. Stainless steel shaft. Main application: bilge service.